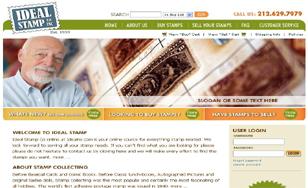 This site is for people who enjoy the hobby of stamp collecting. The Ecommerce site created by Bitochon includes photos of stamps for sale with a description of each. Customers can browse the different stamps and purchases can be made simply by using a credit card. The website includes a fully administrative user side or front-end so that the merchant can manage the website content of available stamps and keep it up to date.